-Ruby Dust- Short Story available now! Ghirn, sheriff of Ruby Dust on Mars, catches an outlaw, saves a couple of humans from cannibalistic Dearndins and calms the ladies of The Pink House. All in a day’s work. This story is close to my heart and I want to share, share, share! 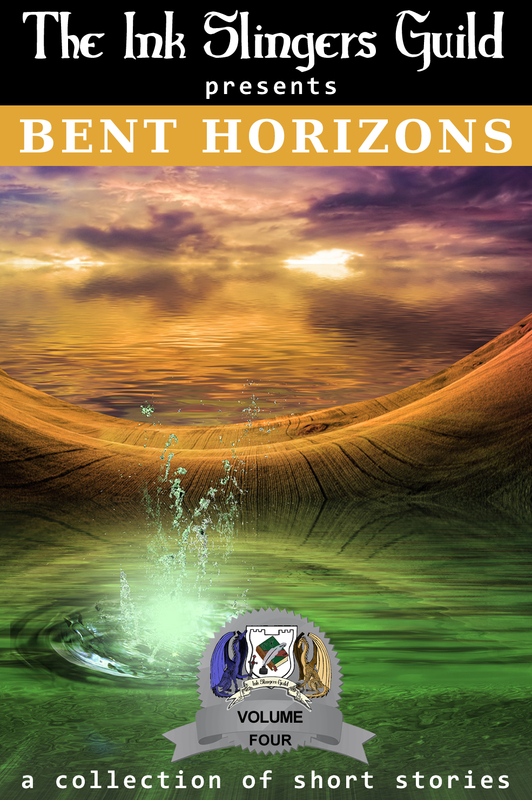 The story can be found in the anthology Bent Horizons along with ten other talented authors. This is a book that my writers group puts out annually. This entry was posted in Books, Gargoyles, Sci-Fi/Fantasy, Writing and tagged fantasy anthology, Ink Slingers Guild, sci-fi anthology, short stories.